The range of Addo Elephant Park accommodation varies from rustic to luxury, from basic Safari tents to luxurious Chalets and guest Houses, catering for a wide variety of visitors needs and requirements. 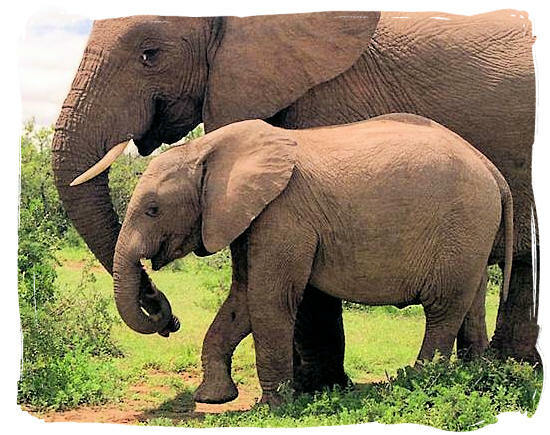 Tucked away in the dense valley-bushveld of the Eastern Cape The 160,000ha Addo Elephant National Park offers a wide range of exciting Safari game viewing, including the Big 7!! 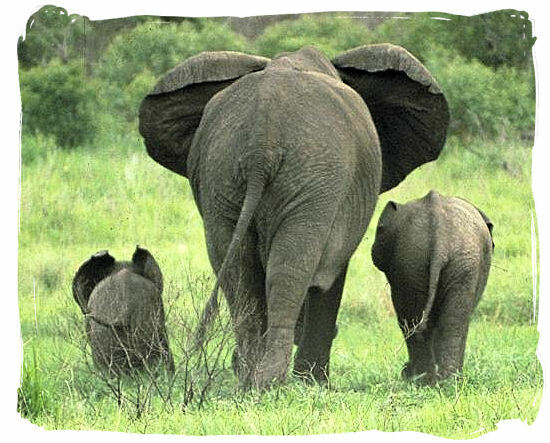 Elephants are to the Addo National Park what the polar bears are to the Arctic. 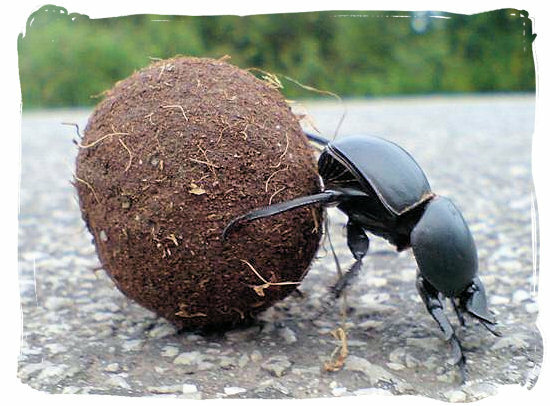 Without them, Addo Park would not be Addo Park. 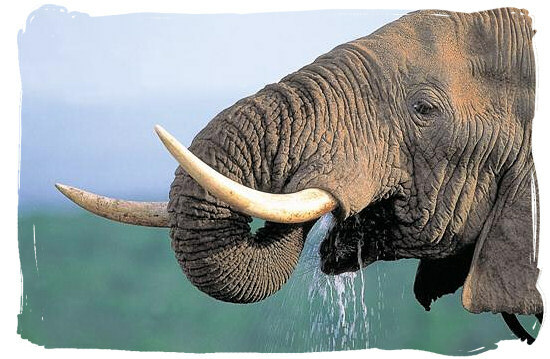 Addo Elephant Park accommodation comprises a wide range of accommodation types. Cottages, Bungalows and shady Caravan and Camping sites with communal facilities are available. Day visitors can relax at a pleasant picnic spot. The list below gives a brief description of the range of Addo Elephant Park accommodation that is being offered. These units overlook a floodlit water hole. The guest houses have two bedrooms with en suite bathrooms , air conditioning, living rooms and fully equipped kitchens. These units sleep up to 6 people. This type of accommodation can sleep either two adults and two children or three adults. 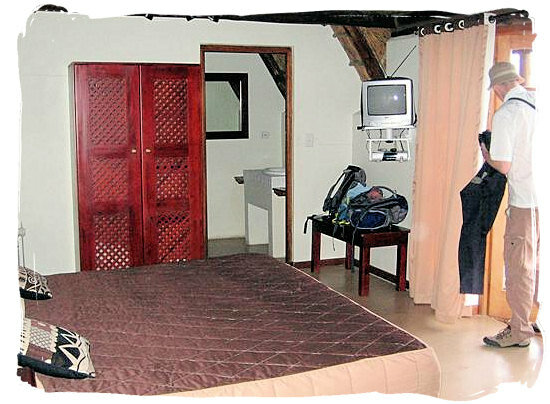 The chalet is a bed-sitter with two single beds and a sleeper couch, all in the same area. There are no separate bedrooms. The chalets are air conditioned, and have fully equipped kitchens and bathrooms (with bath and shower). Two chalets are adapted to accommodate paraplegics. This type of accommodation can only sleep two people. Each unit contains two single beds (together) with a shower, toilet and hand basin. The kitchenette is equipped with a bar-fridge, 2-plate stove, microwave oven, cutlery, crockery and cooking utensils. The units are air-conditioned. This type of accommodation can only sleep two people. Each unit contains two single beds (together) with shower, toilet and hand basin. The kitchenette is equipped with a bar-fridge, 2-plate stove, microwave oven, cutlery, crockery and cooking utensils. This unit is not air-conditioned but is equipped with a fan. These units overlook a floodlit water hole. This type of accommodation can only sleep two persons and contain two single beds (together), a shower, toilet, hand basin and fridge. The units are air conditioned and share a communal kitchen with a four plate electric stove (no oven)Cutlery, crockery. Cooking utensils are shared with the other huts. This accommodation sleeps a maximum of 4 people. The hut is an open area with 4 single beds, a table and seating for four people. The units are equipped with a shower, toilet and hand basin. Each unit also has "braai" facilities, cutlery, crockery, cooking utensils and a fridge. Guest share a communal kitchen. This type of accommodation can sleep a maximum of 6 persons. This unit is made up of one bedroom with a double bed and a bed-sitter area, comprising of two single beds and a sleeper couch. The bathroom leads off the bed-sitter area. Each unit has an equipped kitchen and air conditioning. This chalet has two single beds (together) in an open plan area with a mini kitchen, shower, toilet and hand basin. The unit is air-conditioned. Caravan sites are available, with communal ablution and kitchen facilities. Caravan sites are equipped with 220V power points and a wooden table and benches. A maximum of six persons, one caravan with a side tent and one vehicle or one auto villa or one motorised caravan will be permitted per site. Caravan and campsites are available, with communal ablution and kitchen facilities. Camp sites are equipped with 220V power points and a wooden table and benches. A maximum of six persons, one tent and one vehicle will be permitted per site. 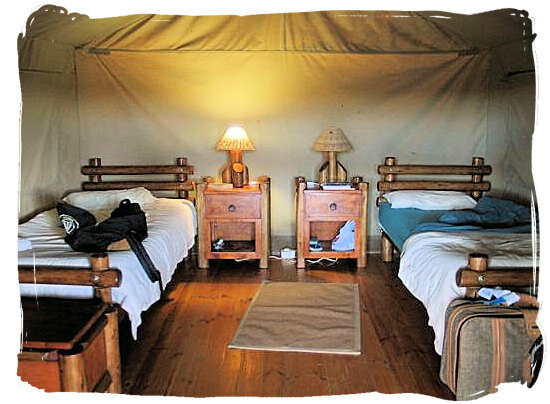 The tents have two single beds, bedding, towels, fan, fridge, braai and separate communal ablution facilities. (shower, toilet and basin). They can also use the big ablution block in the camping area which is equipped with a bath. A communal kitchen with two plate stoves, cutlery, crockery and cooking utensils is provided for each tent. These tents are situated inside the existing camping site area of the park next to the perimeter. 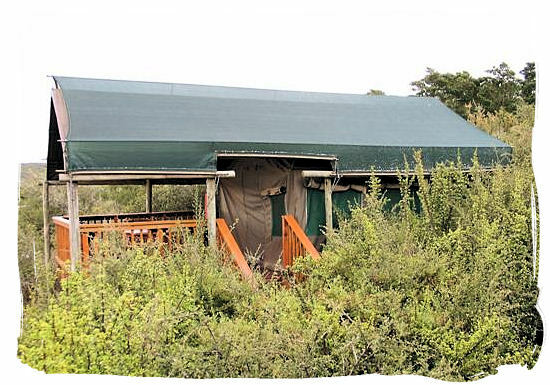 Click on any of the 5 rest camps in the Addo Elephant National Park shown below, to view accommodation availability details of that particular camp on the Addo Elephant Park accommodation available page of the South African National Parks organization (SANparks) website. The accommodation code enables you to book a specific type of accommodation, if you provide the code with your booking. 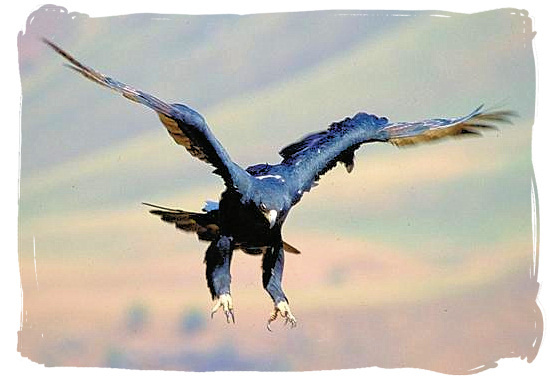 view the tariffs applicable for the Karoo National Park on the official tariff page of the South African National Parks (SANparks) website. book your reservation for one of the Addo Elephant Park accommodation units on the official reservations page of the South African National Parks organization (SANparks) website. An a-la-Carte restaurant is available in the main camp and is open for all meals from 07:00 to 22:00. Bookings are advisable, especially for dinner. Telephone: +27 (0)42 233 8674. A swimming pool is available for overnight visitors. A picnic and braai area is available for day visitors. The SASOL Red Bishop Bird Hide. The PPC Discovery Trail is accessible to all, including the visually and mobility-impaired. There is a public telephone and a post box near the reception. Post is collected for delivery every week day morning at 09:00. 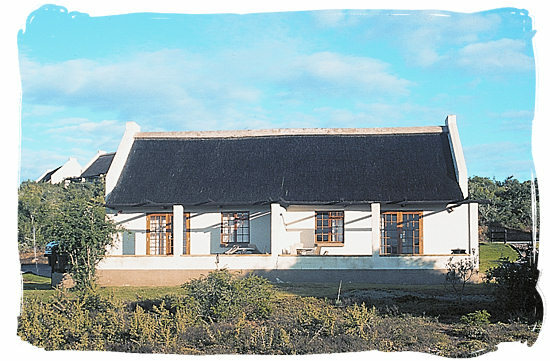 A post office is situated in the town of Addo, approximately 15km from the park. A First National Bank with ATM is situated in the town of Addo, 15km from the park. Other banking facilities are located in the town of Kirkwood, 35km from the park and Port Elizabeth, 75km from the park.